After spending a good number of years recruiting Mid and Senior level roles in the Sydney IT Industry, and successfully placing hundreds of candidates across many different companies and sectors, it became very clear that there was a huge gap in the market for IT graduates that needed to be filled. If a candidate isn’t suitable or experienced enough for the roles I currently have open right now, then they are no good to me at this point in time. 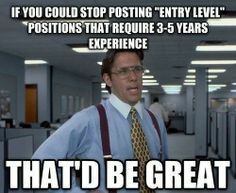 If that candidate then also happens to be a graduate or a junior, then there is a very good chance their resume will either end up in the trash, or if they are lucky they may be stored in the dark corners of a database until they have gained enough experience to be classed as mid level, “experienced” or a “profitable” placement. The fact is there is not much money to be made in recruiting for a role paying a graduate or junior salary. Recruitment companies push their consultants towards spending their time working higher-level roles and making more profit. Leaving the graduates and juniors out there alone with no help or knowledge of the market battling for their first role. Some companies and hiring managers do not want to pay recruitment fees for someone who has very little or no commercial experience. Others may not have the funds, or they may want to save their recruitment budget for more senior roles that they class as “more important”. Recruitment companies have the power to change all this. ​A good recruitment consultant should know the majority of companies who are currently hiring direct in their market, including any lower level or junior roles - AND - at the same time, they will be aware of any juniors who are available and applying for roles they don’t quite have the experience for - BUT - they will never connect the two or go out of their way to point someone in the right direction, as they are not employed to make free placements or introductions. Consultants are measured, paid and recognised by their company simply on the profit they make. If they aren't making profit and receiving recognition then the chances are they will be let go for underachieving. Some graduates will even tell recruitment consultants that they are happy to work for free to get some experience under their belt – AND - most companies would love to hire someone and have them work for free - BUT – again, recruitment consultants do not see any value in placing candidates for free, and they actually prefer a client to be short staffed as this is when they can attempt to cash in, similar to when Sydney gets hit by torrential rain and the 7Eleven owner places a bucket of umbrellas in the door way of his store and triples the price and still sells out within 20 minutes. Aim to connect the IT community to more opportunities that ever! The Key To Life – Running & Reading?